Would you put what you are doing right now on your epitaph? I often ask myself a similar question: Would I put what I’m doing right now on my epitaph? The answer is usually an emphatic “No”! This might seem trivial; sure we can’t always be doing what we want. But the problem is, life is only ever now. Think about it… is it ever not now? Is it ever not the present moment? Does the past or future even exist? When you recall an event from the past, you recall it in the now. It is a memory trace, which you can only experience in the present moment. You might be able to see the event as an image in your mind’s eye, but you will never be able to smell, taste or actually see it. Similarly, if you are anticipating events in the future, can you touch, hear or experience them before it is now? Of course not. You can only imagine a possible future, but you also do that in the now. All experiences happen in the now, in the present moment. Even five minutes ago, or five minutes into the future don’t really exist. Five minutes in the future will exist, but only in five minutes, when it is now. So it seems clear, life is only ever now. Or more precisely, a stream of continuous now’s. Many people don’t live in the now. They live in their minds, constantly longing for the future, or dwelling in the past. Do you ever spend your time wishing you were somewhere else? Do you often dwell on past events, wishing you done things differently? Do you tend to wish the weeks away living only for weekends (that’s 70% of your life)? Many problems only exist in your mind. You might be questioning this statement. Maybe you are even downright annoyed by it, especially if you are suffering in some form or another. If this is the case, ask yourself a question: what problem exists right now? You might find that there is no problem right now, and that your suffering is based on thoughts about the past or the future, such as bills you need to pay. The thing is, even if you can’t afford to pay next week’s rent, is it really worth sacrificing every moment of the next week worrying about it, especially if all you can ever experience is now. Consider an example of someone driving home from work. They are relatively happy, living in the moment, until they hit a traffic jam. Granted, they might have somewhere to be. But the fact is, they are stuck in traffic. It has already happened. It cannot be undone. Yet, instead of accepting this fact, many people will fight with their own minds. “I should have left earlier”. “I should have gone another way home”. “I hate my commute”. “I haven’t got time for this”. 1) Change the situation: Turn around, get out and walk; run home if you like. 2) Fight with yourself: Become increasingly stressed about what might happen and what you should have done. 3) Accept the fact that you are in a traffic jam and just enjoy the present moment. There is essentially three choices in any situation: 1) change it, 2) Fight it in your mind, or 3) accept it. It is actually quite insane to choose number 2, but this is what many people consistently do. It can even be quite addictive. Some people love to criticise and complain, and seem to find drama in every situation. Getting stuck in traffic is a very mild example, but this form of psychological suffering is highly prevalent in today’s society. That is, dwelling on the past which can lead to depression, sadness and despair, and obsessing about the future which is associated with anxiety, worry and apprehension. Wherever you are, be there completely. Instead of living in your head, focus on the present moment. Meditation is a great tool, but you can also do this with everyday activities. Feel your feet touching the ground as you walk. Savour your food as you eat it. Feel the water touching your skin when you wash your hands, or take a shower. Listen to the birds singing in the morning. You can use anything that focuses on the senses. You can also use daily routines to trigger you into the now. This technique can be particularly powerful if you build it into a habit. Every time you open a door, walk up the stairs, or get into your car, take five deep breaths. Become fully absorbed in the sensory experience. Feel the temperature of the air as it enters and exits at your nostrils. Feel your belly rise and fall like a balloon. It’s up to you, but it is good to focus on a specific anchor. Just to be clear, I’m not saying you should forget about the past and ignore future; just don’t live there. You should learn from the past, and anticipate the future. This is absolutely necessary for practical purposes. But your attention should stay in the present moment, and there should be no emotional attachment to your thoughts. Would I put what I’m doing right now on my epitaph? I don’t think so, as long I’m being present. Fair enough, if I was 99 years old on my deathbed, and I could come back to right now, it is unlikely that I’d go to a lecture. 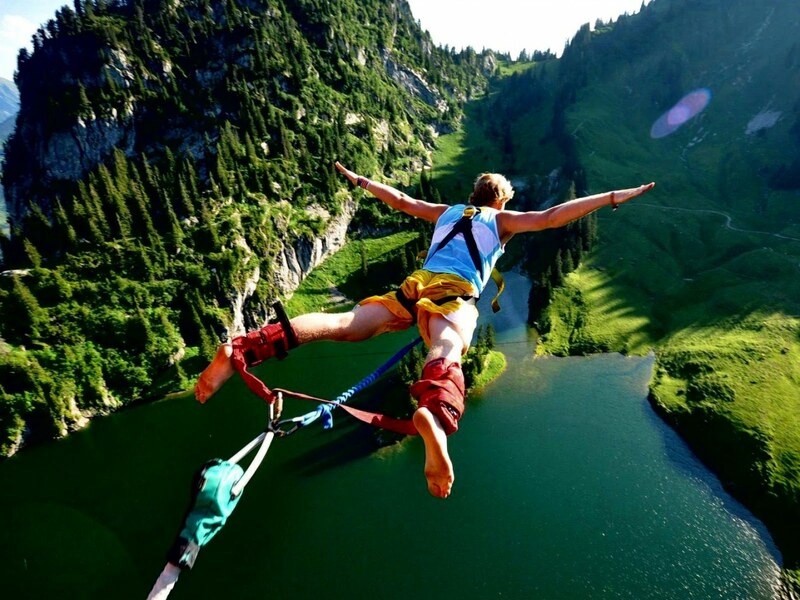 I’m not saying you should go partying, jump out of a plane, or do a bungee jump. You should embrace whatever you are doing right now, because that is all there ever is. Why not spend more time there. I write regularly for A Lust for Life, but feel free to follow my articles on Twitter, Instagram, Facebook and LinkedIn. You will also find a collection of my articles on publishing platforms Thrive Global and Medium.